Not one to miss an opportunity, Bernie Sanders has a new social media spot lambasting Donald Trump’s ignorance in regard to climate, and wind energy. “Actually, standing here, you can’t hear a thing except cars going by on the road,” Sanders said, while standing in an Iowa field against a backing track that would not be out of place on Larry David’s Curb Your Enthusiasm. “The fact is that Iowa gets about 35 percent of its electricity from wind turbines all over the state, which by the way provides revenue to farmers who desperately need that revenue. So, President Trump, once again, try to get your act together and try to tell the truth. It won’t hurt,” Sanders promised. 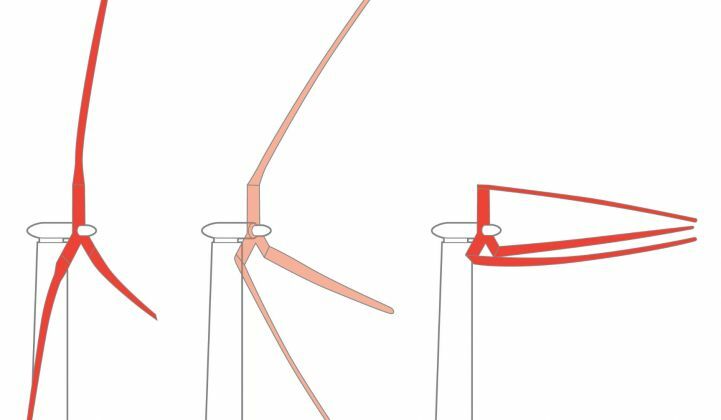 Meanwhile, the next generation of wind turbines is on its way.